As a golfer who has experienced numerous injuries throughout the years I know the importance more than ever of keeping your body healthy to enjoy golf to its fullest. I have asked a friend of mine Dr. Hunt Whitehead, a doctor of chiropractic, to make some comments regarding the spinal movements as they relate to the golf swing. He has helped me keep my body aligned on a regular basis and he's a golfer, so he really knows the importance of how and what muscles are being used in a golf swing. Golf and chiropractic care are a perfect combination. Chiropractors, along with a good golf instructor, can help you evaluate, treat, condition and train golfers. As a chiropractor I look at the body in balance from head to toe, which is the essence of the golf swing.Anything interfering with the stance or the grip restrictions in the swing will have a profound affect on your golf swing. There are three fundamental causes of golf injuries that I deal with almost on a daily basis: Poor posture, lack of flexibility and lack of balanced functioning muscles. Poor swing mechanics is the fourth area, but I leave that to a professional like Tom Ward. Let's look at the body for a minute. The body is supposed to have natural curves called the cervical lordosis,thoracic kyphosis and lumbar lordosis. Many golfers have lost those natural curves, and the spine has to function differently than it was designed to do.That leads to uneven wear and tear in our joints causing painful misalignments of our spine and early degenerative changes, which then leads to arthritis of the spine-the dreaded Degenerative Joint disease. 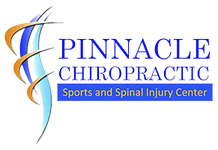 I will tell you that over 50 percent of all golfers will experience some sort of pain due to poor posture and the problems that arise from loss of proper curves in the spine. Are your feet balanced and comfortable at address? Do your feet have to flare out in order to turn on the backswing? Do you find yourself walking slightly crooked the day after a round of golf? Maybe you couldn't even get out of bed for a few days. You probably have a disc issue which needs to be addressed. How do you know if your posture is out of balance and you are susceptible to wear and tear of the spine? Try these at home to see if your posture and alignment is hindering your game. Look at yourself in a mirror. Stand nice and tall with your hands to your side. Is one shoulder higher than the other? Now place you hands on your hips. Is one hip higher than the other? You'll need a partner for this one. Lay across a bed face down with your arms to your side and your feet hanging off the bed. Have your partner stand at the end where your feet are hanging. Your partner should look down at the length of your legs and determine if one leg is longer than the other. If your answer is yes to any of these questions you might want to see your local chiropractor. If your serious about golf you should really be serious about your body. Most golfers will take good care of their golf equipment and spend little time with their most valuable equipment-themselves. Take a few minutes every day to stretch before playing as it will make a tremendous difference.